Links to art from me, other artists – and just different interesting pages. Patreon Line-Art Project – Support my art on Patreon. @oxpal on Twitter – for site updates. – Facebook – where you can friendadd or follow me. – my videos on YouTube. – Some of my work in the CGHub galleries. Exto.org Profile – My page on exto.org where you can by my paintings. Exto.nl Profile – Same as above, but in Dutch. Mike Hill – Heavy Unit Design – A blog with lot’sa sketches and tech art in 2d and 3d. Maroesja Lacunes – Maroesja’s page, with nice portraits. Nadia Karroue – VG-Heart – Nadia’s blog – delicious colors! David Smit – David’s portfolio with great characters and linearts. He also has an art blog! Svetlana Tiourina – Svetlana’s page shows her very dreamy fine art paintings. Wanja Svazek – Lost Corner – Great pencil art to be found there. Fufu Frauenwahl – Fufu got some wicket illustrations and comics on his page, and even the site design itself is worth a look. Ramon Contini’s Tumblr – Sadly no art portfolio anymore… but Ramon’s tumblr is full of inspiring images. Ashley Wood Blog – Ashley Wood posts lots of awesome work. Crayon Box of Doom – Blog by Thomas Scholes – amazingly atmospheric paintings. Gurney Journey – The blog of the amazing artist James Gurney. 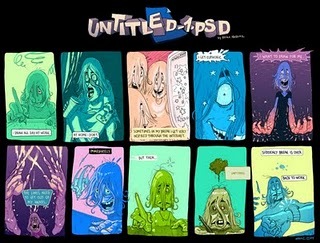 Things… – Seriously, this digital artist is not from this world. Trash is my all… – Blog with incredible art by Ivan Solyaev. The Art of LD Austin – An amazing talent. Wonderfully loose digital art with a classic fantasy touch. Lines and Colors – Blog by Charley Parker with art discoveries – with a similar taste to mine, but backs it up with much more interesting information. 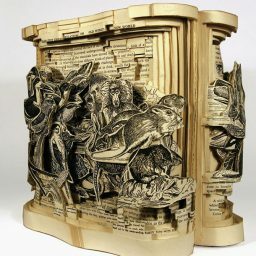 Thom Tenery’s Art – Thom Tenery really manages the rare feat to be abstract and realistic at the same time. Stunning gallery. He’s also got a blog. Seth’s Blog – I’m not sure how one person could possibly write something interesting every day. Seth Godin somehow does it. 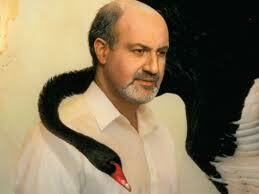 Nassim N. Taleb’s Facebook account – Nassim Nicholas Taleb is proving that facebook can be deep. He updates with little lines of philosophy and parts of the books he works on.